Whenever I hear someone talking about “underrated riders,” Jordan Swenson is the first person that comes to mind. He’s put out a couple self produced edits that have gone more or less under the radar in terms of major BMX media, despite his riding level being at or even above some current pros. I took a four day trip to Colorado with Jordan and Brady Tweedy at the end of September, thinking I’d be shooting a couple things for them here and there while doing as much riding as I possibly could. I was not expecting Jordan to get loose and basically film an entire video part in four days, but that’s exactly what happened. Our edit that we put together from the trip, titled “Four Days In Colorado”, unexpectedly got passed around a couple major BMX media outlets and received some positive feedback. 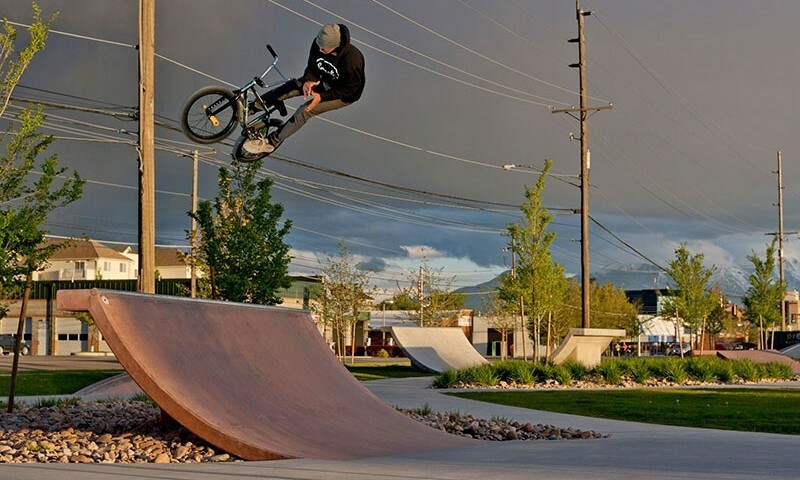 I can’t wait to see what happens with Jordan’s riding in the future, whether he becomes one of “the next dudes out of Utah” on a national level, or if he stays quietly killing it while dropping jaws on a regular basis. 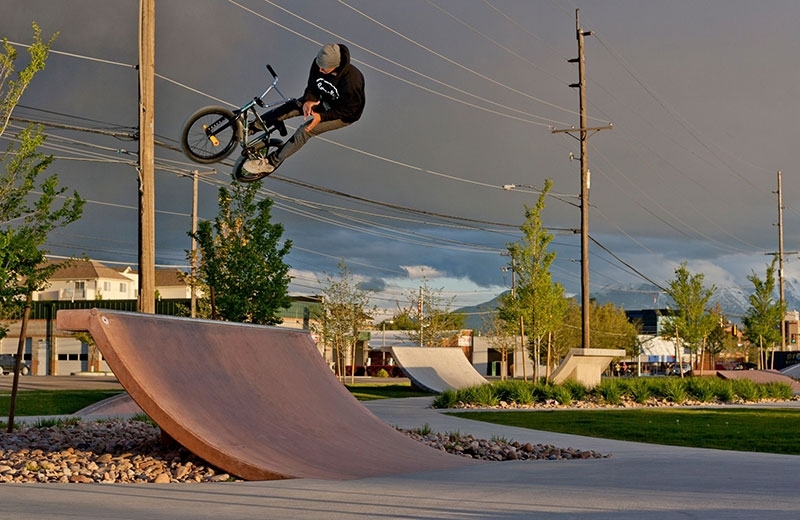 We came across this little rail while cruising through downtown SLC a couple weeks ago, and at first it seemed way too short to actually do anything on. During a quick session, Jordan managed to line up this quick hangover tooth first try.